ESO Supernova Exhibition — Can we breathe an exoplanet's atmosphere? Can we breathe an exoplanet's atmosphere? 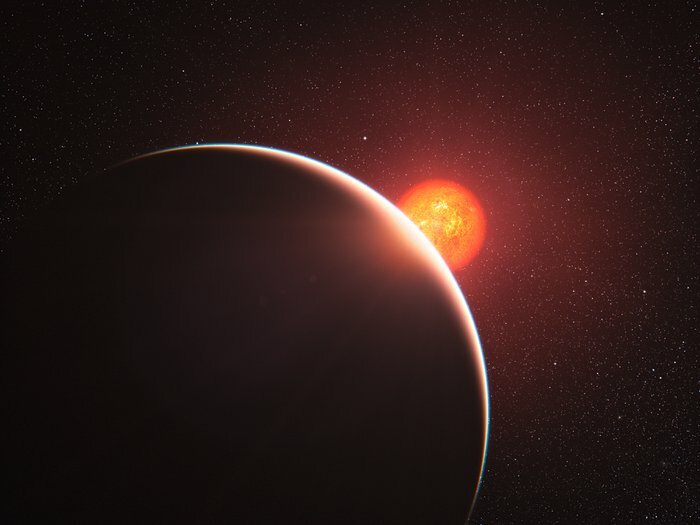 If an exoplanet passes in front of its parent star, astronomers can study the fingerprint that the exoplanet's atmosphere leaves on the light from the star. This tells them about the atmosphere of the planet. So far, no Earth-like atmospheres have been found. 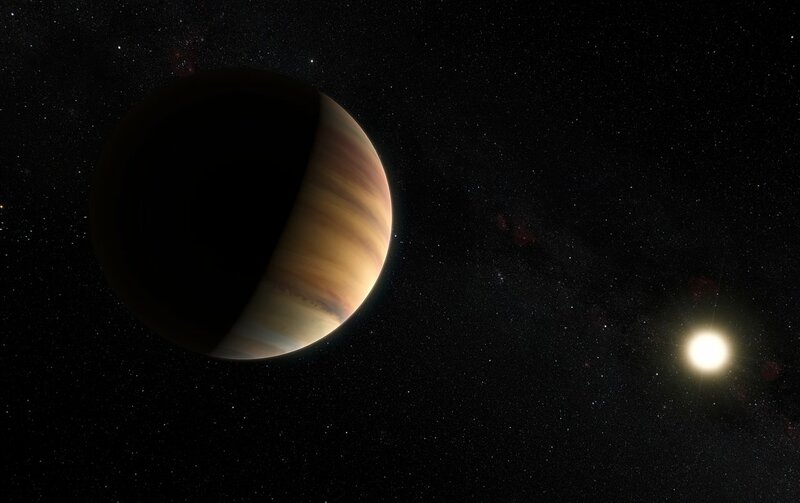 Sniffing Out: GJ 1214b was the first exoplanet to have its atmosphere studied in detail, by analyzing starlight passing through it (artist’s impression). Exoplanet Sunset: At sunset, starlight is filtered by gases in a planet’s atmosphere. This allows the atmosphere’s composition to be measured. There are two ways to find out about an exoplanet's atmosphere. Astronomers can study the starlight that passes through the atmosphere during a planetary transit. Or, they can study the starlight that reflects off the atmosphere. In both cases, this is easier for giant planets close to their parent star (hot Jupiters) than for smaller Earth-like planets. In the future, a breathable atmosphere of nitrogen and oxygen like the Earth's may be found on a habitable planet orbiting a Sun-like star. 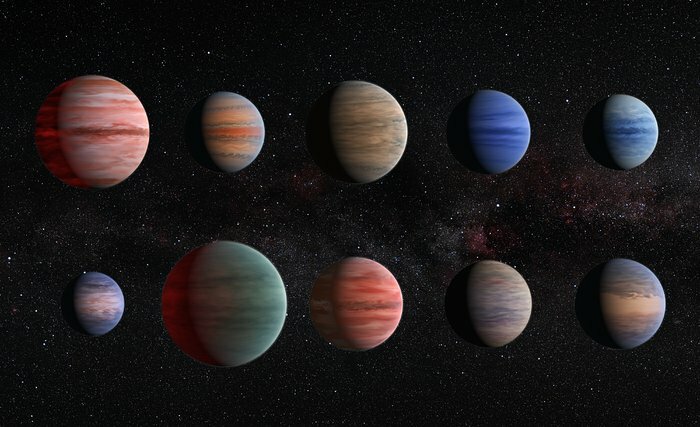 Cloudy marbles: This colourful portrait gallery of 'hot Jupiters' is based on the knowledge we have acquired about their atmospheric composition, density and cloudiness (artist's impression). Fingerprints: In this spectrum from HR 8799, indications of the atmospheric composition of one of its planets are waiting to be revealed. If you ever visit an exoplanet, don't forget to take your spacesuit and oxygen flask! Most exoplanets have atmospheres that are poisonous to human beings. Do you know what gases are in our atmosphere?